Think a sweater set involves just a shell and cardigan? If so, think again. Sweater sets have come a long way over the years from dresses and sweater coats to pullovers and skirts, and this classic combination has endless possibilities. I stepped out of my comfort zone when I picked up this sweater and sweater skirt from Anthropologie. I'm 5'3 so I tend to stay away from large prints, but this one worked. The skirts waistline is striped which allows for contrast within the outfit. Tucking in the top ever so slightly also helps breakup the large-scale pattern. 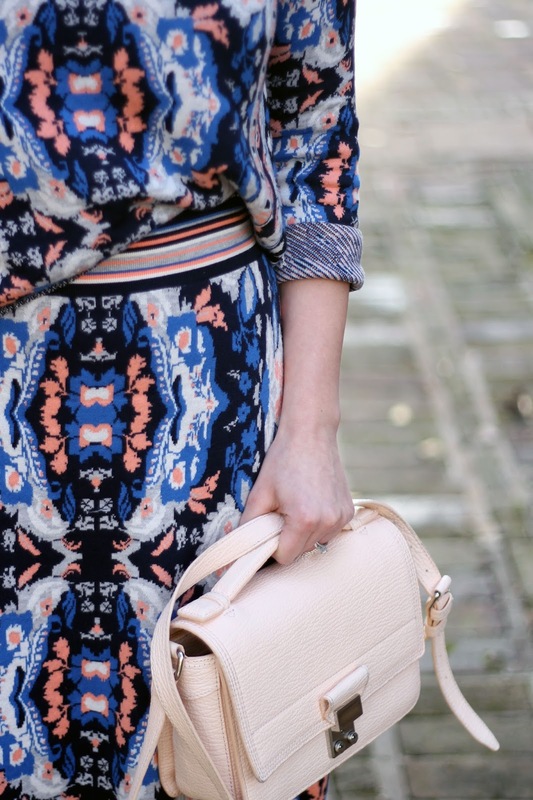 When working with such a bold print, keep the rest of your look simple. A neutral shoe and bag let your sweater set shine, in the best way imaginable. This whole look is really gorgeous. 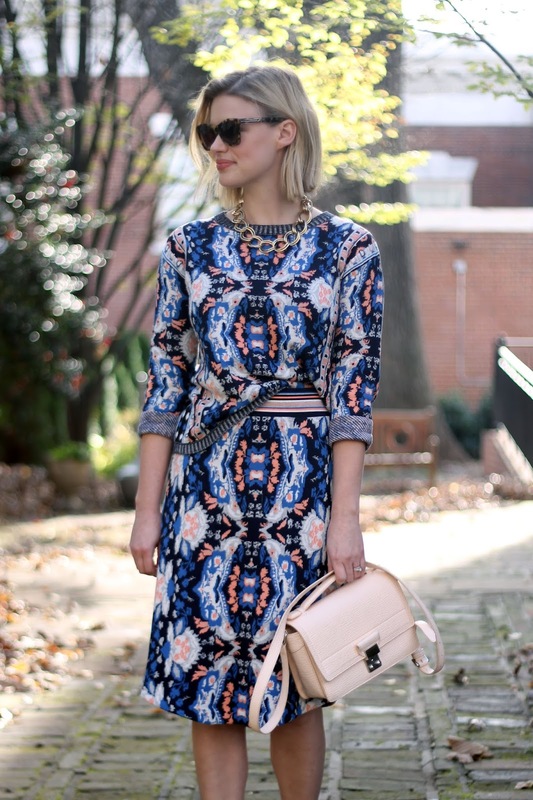 I love the print and the sleek silhouette!